Just in case you weren’t already convinced that the versatile and classic LBD belongs in your closet. 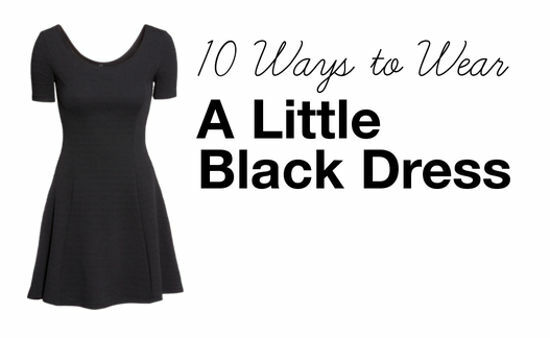 If there’s one dress every college girl should have in her closet, it’s the classic LBD. It’s versatile and flattering, and whether you find an inexpensive version or an investment piece, the little black dress deserves a place in your closet. Though LBDs come in all shapes and styles, for this post, I’ve chosen to feature a short-sleeved, skater-style dress from H&M. 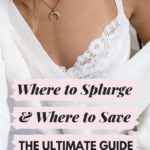 It’s under $20, making it budget-friendly, and the fit-and-flare shape flatters most body types. For bumming it on the beach or strolling through the farmers’ market, try this casual and comfortable look. 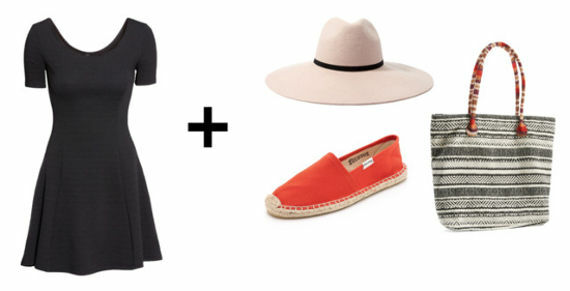 A woven tote, bright espadrilles, and a floppy hat will give your dress a relaxed, summery vibe. 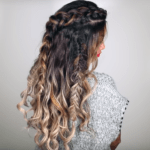 Want an edgier, grungy look? 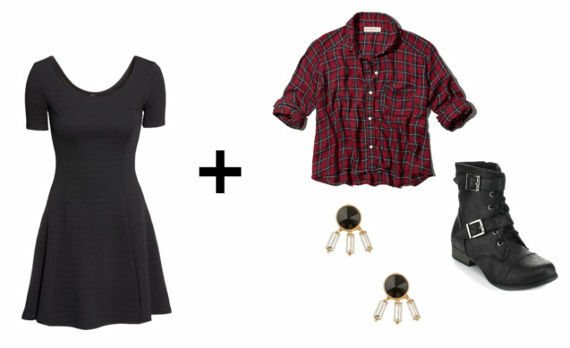 Layer a plaid shirt over your dress, then pair it with tough black combat boots and spiked earrings. To glam up your dress, all you need are three accessories: bright sky-high heels, a metallic clutch, and a statement necklace– the easiest evening outfit formula ever! 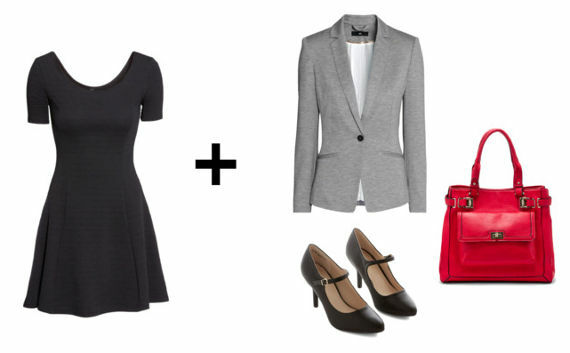 Want to make your dress work for a job interview or office setting? Layer a gray blazer over the top, pair it with black Mary-Jane heels, and carry a bold, structured tote. 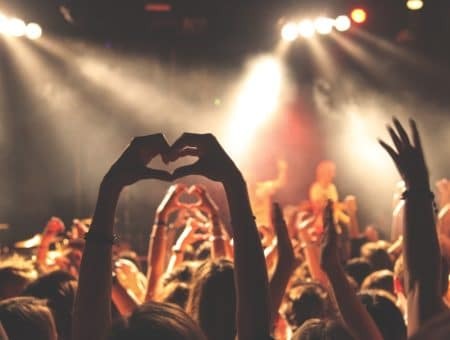 Headed to a music festival this summer? Give your dress a boho feel with a printed kimono jacket, gladiator sandals, and a stone-detailed ring. Jump on board the minimalist trend with this sleek, black-and-white look. 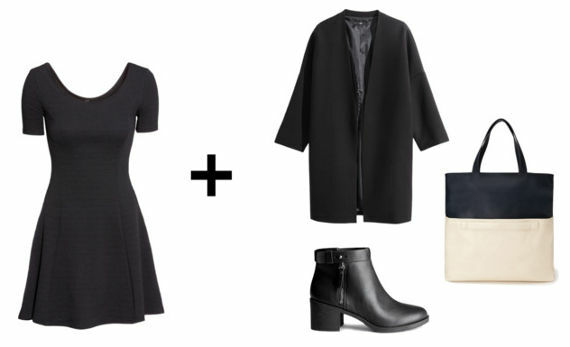 Layer a simple black coat over your dress, then add a pair of plain black booties and a colorblocked tote. For that summer rodeo or country concert, pair your dress with a distressed denim jacket and cowboy boots. For the finishing touch, throw on a crossbody bag with a pop of southwestern print. 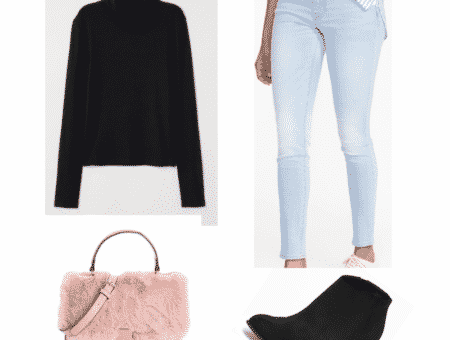 For a dressier occasion, try this feminine ensemble. 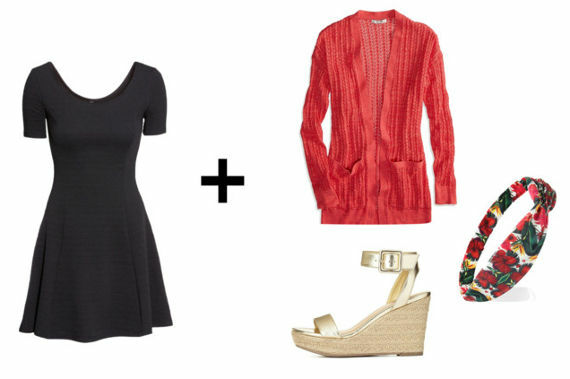 Layer a lightweight pink cardigan over your dress, then accessorize with gold wedge sandals and a tropical floral headwrap. 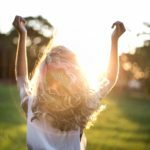 Want to give your dress a trendy and adventurous look? 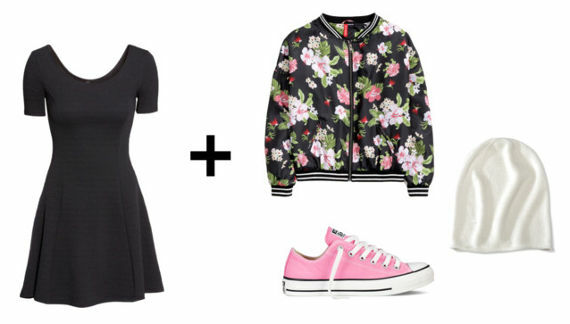 Layer on a floral bomber jacket and slip on a pair of pink sneakers. For chillier weather, add a slouchy beanie. When colder weather rolls around again, give this polished and timeless look a try. 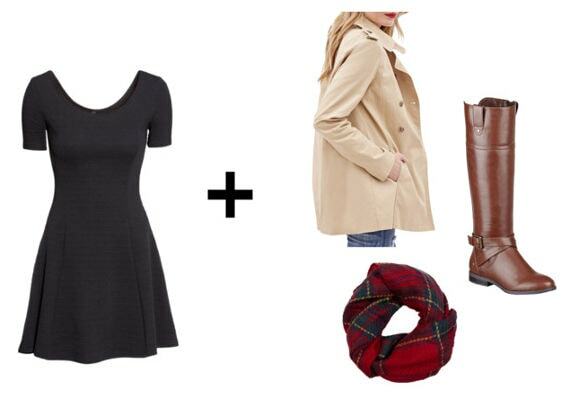 Layer a khaki trench over your dress and throw on a plaid scarf for warmth and color. For shoes, slip on your favorite pair of riding boots. What other ways can you think of to wear an LBD? Which of these looks is your favorite? Let us know in the comments!